Ask any lawn mowing company, and they will tell you that mulch acts as a cover, a blanket, or even an umbrella for your soil, growing seedlings, and established plants’ roots. Mulch comes in many shapes, but specialists usually divide it into organic and inorganic. While the latter has a more decorative and functional role, the organic one is of interest when you consider eco-friendly, affordable, and sustainable lawn care and landscaping. Our experts in lawn care in Vienna VA use premium dark brown double-shredded hardwood mulch, but other varieties may also interest you. Now that we cleared things up let’s see the top nine benefits of mulching your property this spring! By shielding the plants from the sun, it also helps with maintaining weeds at bay – putting a break in their proliferation and competition for resources against your plants, trees, and vegetables. 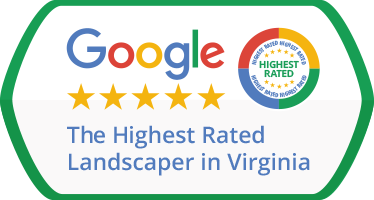 Nevertheless, you should not skip entirely a fertilization and weed control program provided by our experts in lawn care in Vienna VA, as they are mandatory for the preservation of health and resilience of your property throughout the year. Mulch is probably the best and cheapest way for you to recycle vegetal debris; organic mulches include grass and dry leaves clippings, chopped tree bark, vegetal hulls and shells, wood chips, and more. As decoration, both organic and inorganic mulches provide your lawn, garden, flowerbeds, and tree rows with a neat, clean, and streamlined look and feel, boosting your property’s curb appeal. Overall, mulch saves you plenty of time and money with other lawn and garden activities. Contact our experts in lawn care in Vienna VA and have them assess your property and offer you their mulching services this spring!